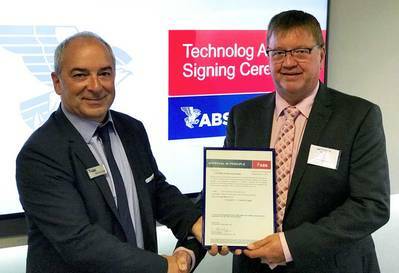 ABS has granted Approval in Principle (AIP) to TECHNOLOG for a liquified natural gas (LNG) fuel gas container system. The portable tank system, which will ultimately come in 20- and 40-foot containers, is designed to be filled at land-based LNG terminals and shipped to vessels via rail, road or cargo ship before being loaded onboard an LNG-fueled vessel. Once connected to the power supply system, it is considered part of the vessel and must comply with the IGF Code.